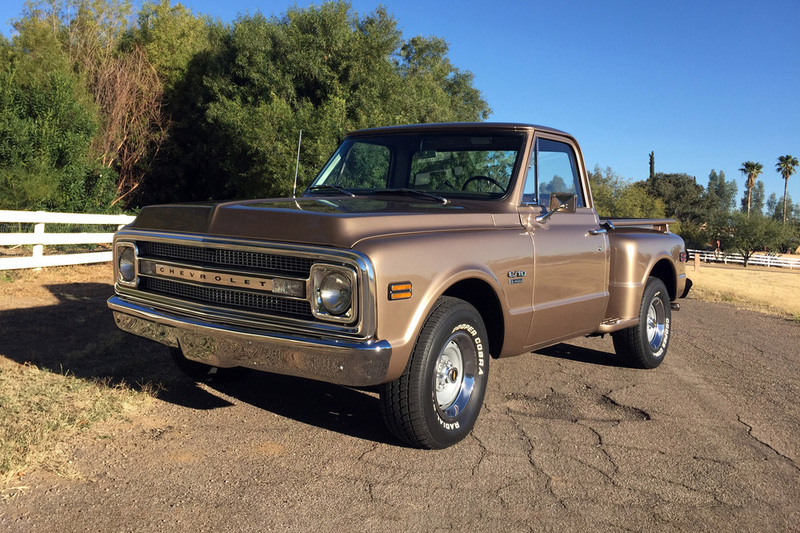 This 1970 C10 Chevrolet stepside received a full frame-off restoration several years ago to its original specifications, with its original drivetrain, color and trim options. The body is laser-straight with nice fit and finish in dark gold. All chrome, stainless, glass and weatherstripping has been replaced. 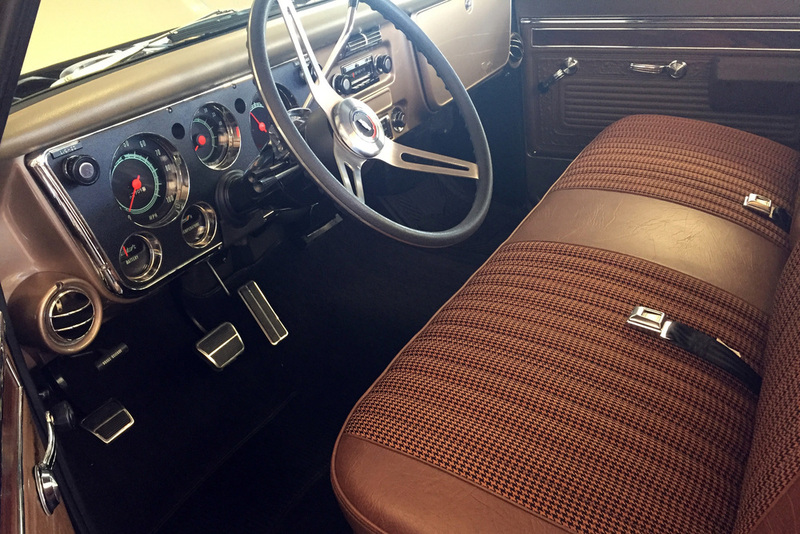 The complete interior, including dash, upholstery and gauges, has been replaced. Options include air conditioning, tilt wheel, AM/FM radio, power steering and power brakes. 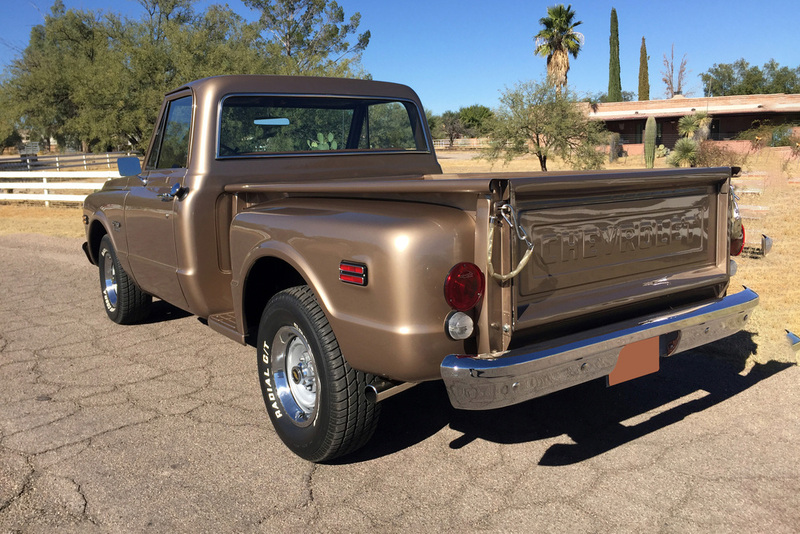 The original 402/310hp big-block L47V8 engine is backed by a Turbo 400 transmission and 12-bolt rear end.